You can trust us with your aquatic project. Aquatics planning, design, and engineering is our specialty. 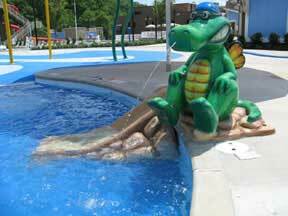 Dragon Splashgrounds Design (water playground) in this outdoor family aquatic center. Before Opening Day in 2007.